Greatsword of the Tall is a Royal Arms Weapon in Final Fantasy XV. "A king was built like a mountain, towering over all others. This was his greatsword. The resonating blade rips and tears through foes." Costlemark Tower Dungeon - During the quest: Of Gods and Kings you will travel to the Tomb of the Tall. 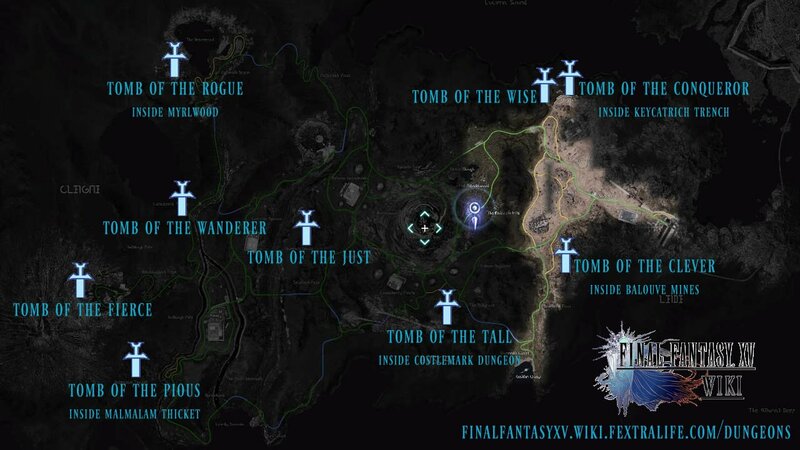 The tomb is located in Fallgrove, but when you get there you will find it has been plundered. Read the note and travel to Costlemark Tower Dungeon and defeat the Jabberwock to obtain this sword. Make sure you have the quest activate or you won&apos;t get the sword from the boss. anyone know about the sword?i killed the dragon and the sword didnt appear.anyone know anything?